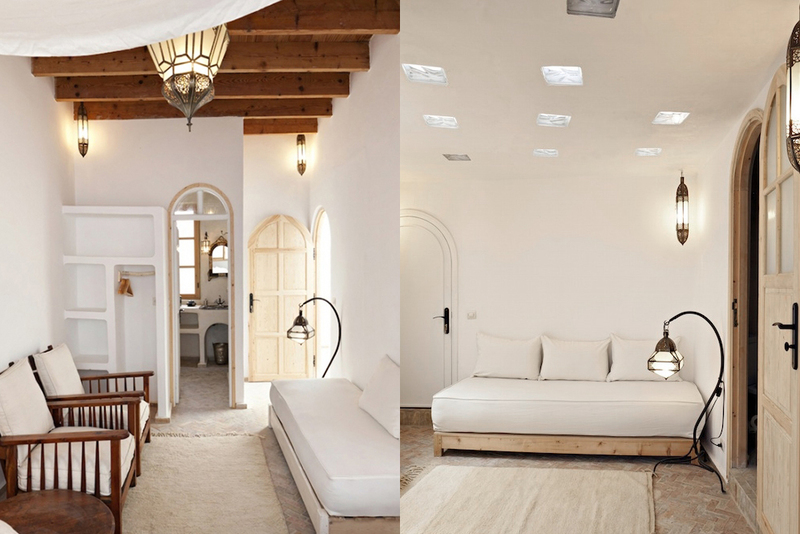 Located in the heart of the old town of Essaouira right next to a colorful square, this bright 4 bedroom home is adorned with handcrafted furniture and artisan pieces, creating a zen and relaxing experience. Built over 3 floors, this oasis offers a large living room, a kitchen, and 3 terraces to enjoy the lovely year-round temperatures of this idyllic, ancient town. There are 2 rooms each on 2 floors (1 double bedroom, 2 triple bedrooms with a double and single bed, and 1 twin room with 2 single beds). 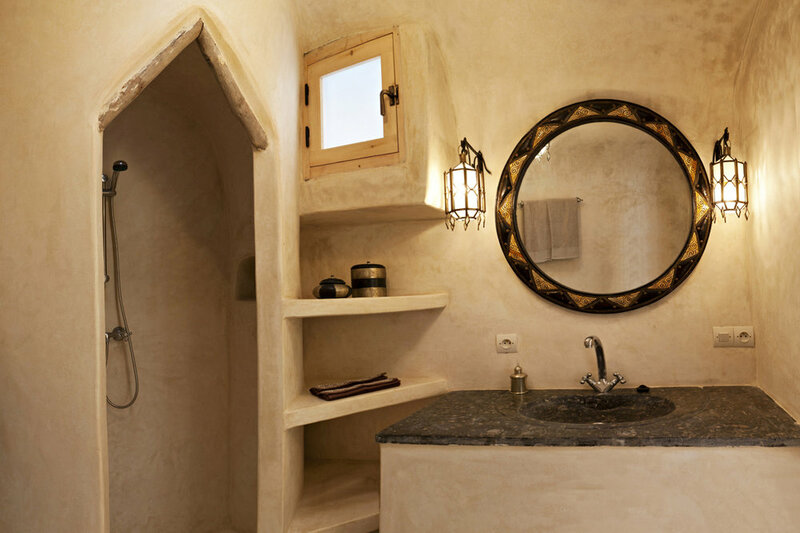 Rooms are bright and airy, decorated with natural colors and materials. Watch the sun set over the ocean on the upper terraces, then enjoy the warmth of the fireplace in the salon. 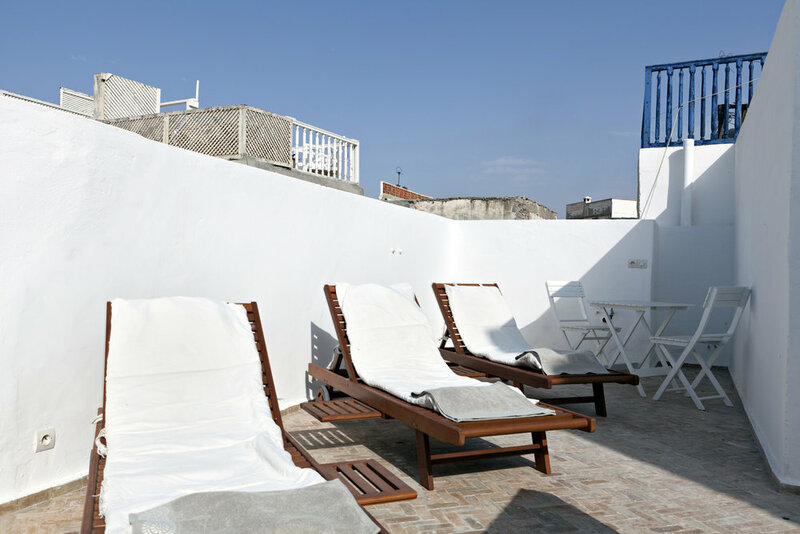 Situated in the heart of the old town beside a quiet square with several restaurants. 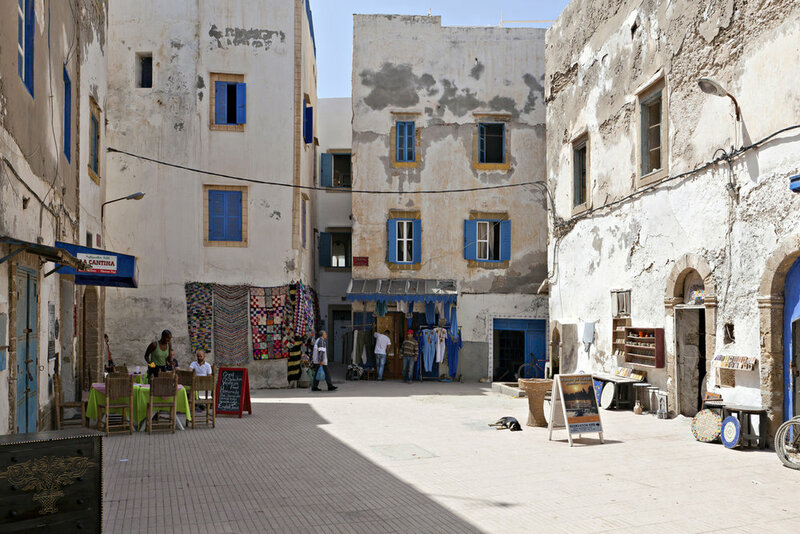 Essaouira has an airport (ESU) with direct flight from London, Paris and soon Bruxelles. There is an international airport (RAK) in Marrakech (2 1/2 hr drive) as well as Agadir (3 hr drive). The house is rented in exclusivity and can accommodate from 2-10 people. $128/night for 2-4 people (including tax and cleaning). Additional people are $16/night. High season $150/night (Christmas, New Year and festivals). 2 night minimum, available for weekly and monthly rates. There are no cars allowed in the medina, they recommend hiring a porter to help bring your bags to the riad, or they can send one to meet you. The cleaning lady comes once a day. Breakfast is available each morning for $5.50/person. Just steps outside the door are quaint streets lined with wonderful restaurants and shops selling everything from carpets to brass trinkets to gelato. 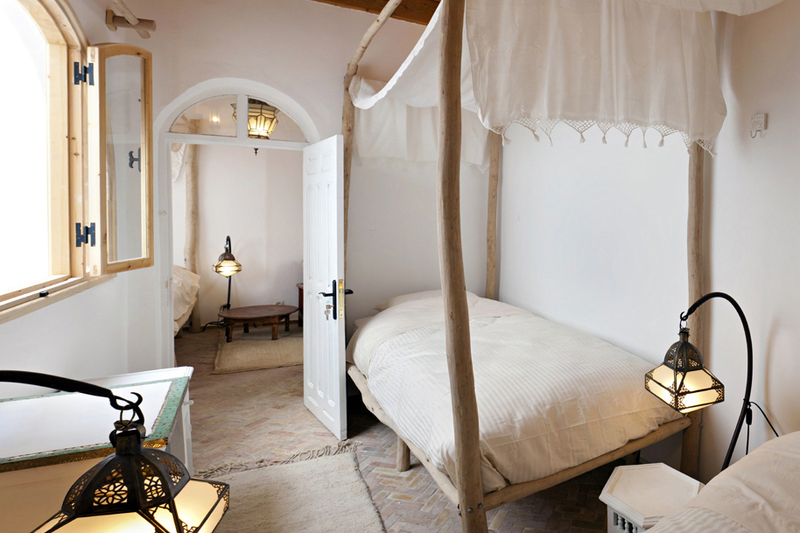 Surfing, kite-suring, SUP at Essaouira beach, horse or camel rides, quad excursions, traditional cooking classes. Visit their website for more up to date information and booking.